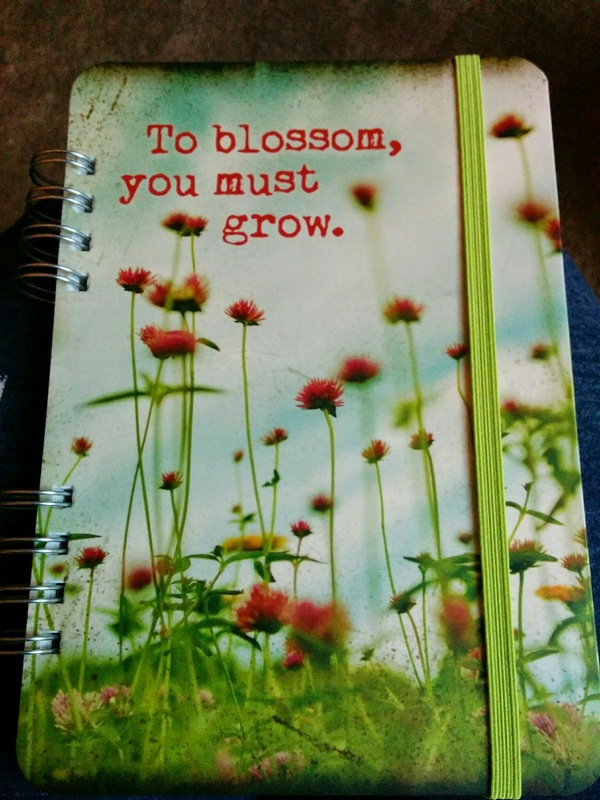 Enjoying The Course: To blossom, you must grow. My 2015 planner. I know. I know. I said I would share this post with you yesterday, but well, we met some friends for drinks Sunday night, which meant I didn't have time to write the post in time to publish Monday morning. If you haven't found a 2015 planner yet (last year I didn't buy one until February, so I figure I'm way ahead of the game this year. lol. ), I think I found a real winner! I love, LOVE the elastic band. I'm sure there's a real name for it, but I can't think of it. :-( I love calendars and journals with this feature because it makes it so easy to find which week I'm in without having to flip through all the pages. It came with TWO pages of fun stickers that you can use to mark important dates, like holidays, coffee dates, date nights, appointments, etc. In the front of the calendar, there is a page for each month. I love the shaded area at the bottom - perfect for jotting my monthly goals! Then, each week is on a 2-page spread. It's a little difficult to tell from the above picture, but there is an inspirational/motivational quotation under the dates. There are also a few lines for notes at the top of the right side of the week, along with a snapshot of the current and following months. I also love that there is a column on the left called "This Week" for notes, goals, whatnot for the full week. And then a full column for each day of the week, starting with Monday. This will be perfect for me to record my workouts, blogging ideas, meal plans, etc. Many of the planners I've had in the past didn't really give me enough room to write everything I wanted to, but this one seems like I'll have plenty of room. Yay! 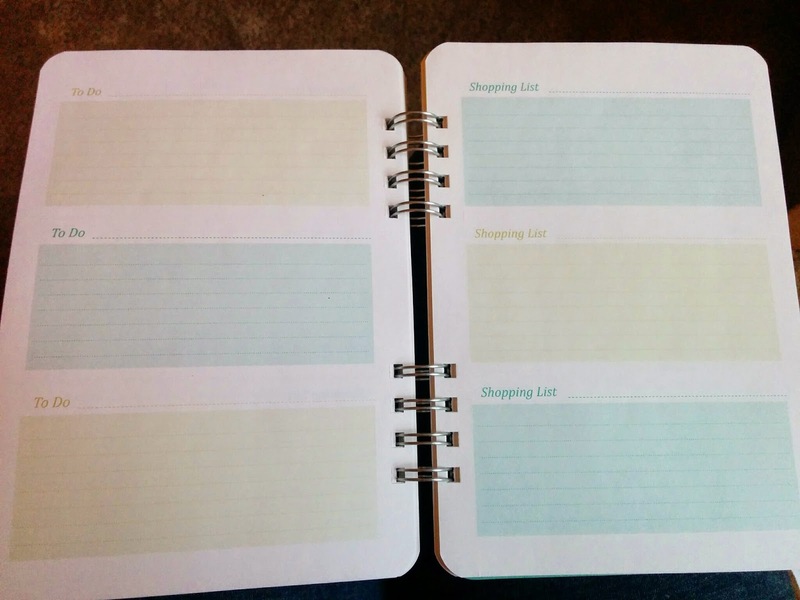 The last fun feature to this planner is the multiple pages of Shopping List / To Do lists in the back. 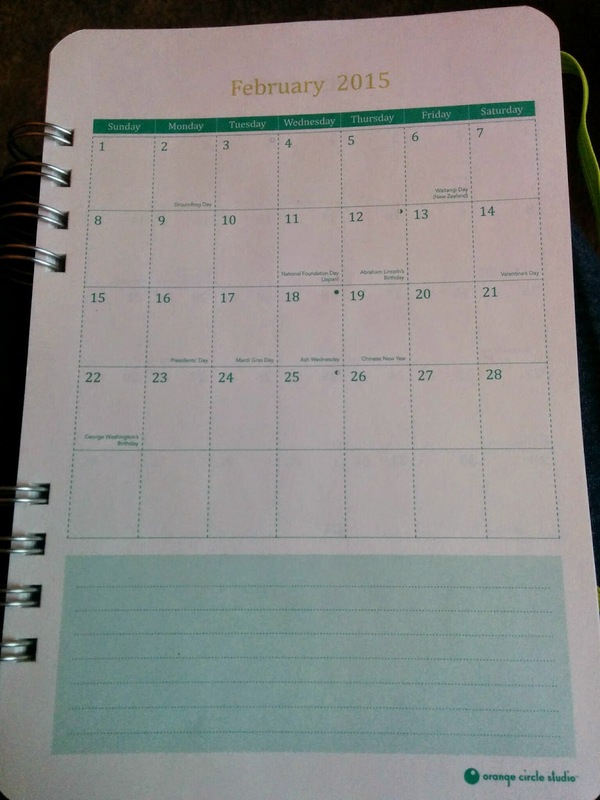 There are 3 to a page, and they're perforated, so it will be easy to take on-the-go without grabbing the whole planner. Not sure how much I'll use these, since most of my shopping and to do lists are done with apps on my phone. I bought this planner at Office Depot for $14.99. I hemmed and hawed over buying it, because I wasn't sure that I wanted to spend that much for a planner. But after I got home and searched for planners on Amazon, I realized that it was a pretty good price for a planner, and then it hit me just how much I loved all the fun little extras this one had to offer. I'm really looking forward to using it throughout the whole year! 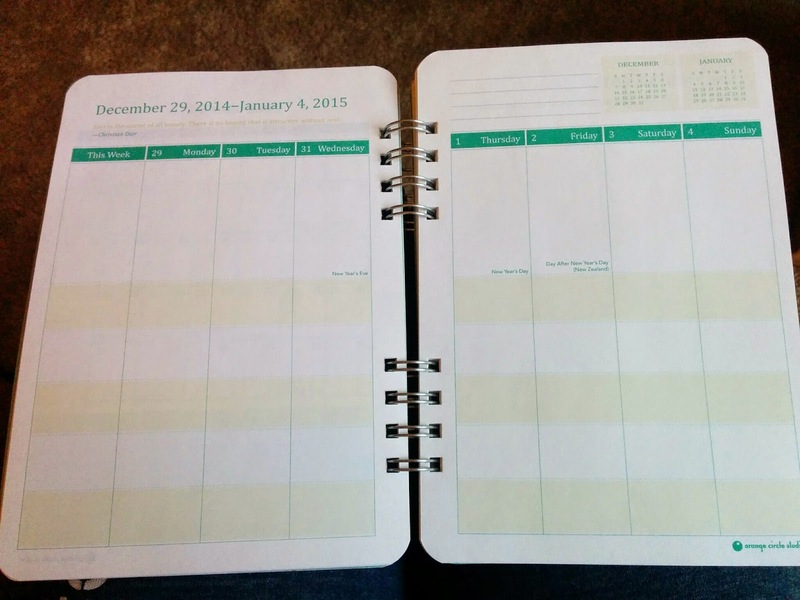 Do you use an old-school paper planner? 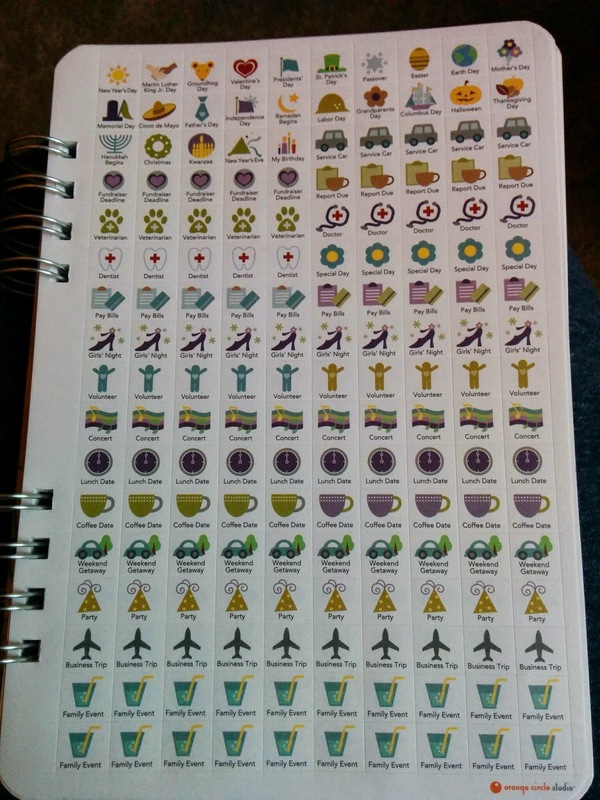 I haven't seen planners with those cute stickers before, just wall calendars that we get from some vendors. Oh, I hate it when my favorite thing gets discontinued. Sometimes it's so difficult to find a good replacement to something you love. Good luck in your search! I haven't bought a planner since becoming a SAH, but I love them. That one is super cute, too! Thanks, Stasy! I went for years without one, but last year I found it was easier to write down my workouts than log onto a website to do it. Love it! Yes, I use an old fashioned pen and paper planner and wouldn't have it any other way! Looking forward to watching you fill it up with an amazing year!